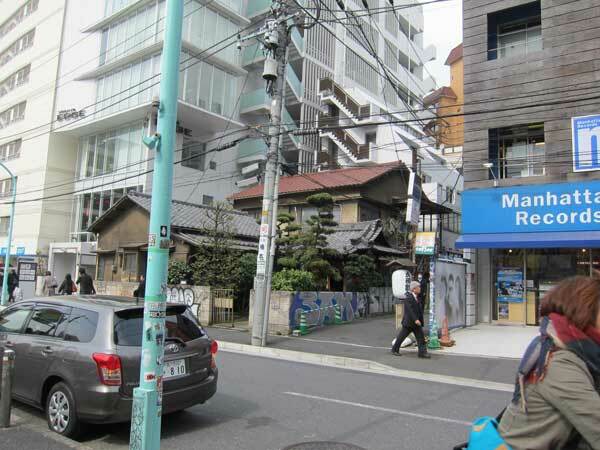 The houses to be demolished are the Showa-era one with blue roof tiles and the neighboring house on its left. This is one of the tallest hydrangeas I have ever seen. It’s growing outside this once handsome house near where we live. 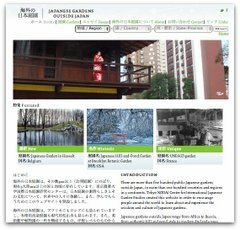 Tokyo’s ample year-round rain make it easy for plants to survive without our help. I’m hoping they won’t tear down the place soon, because this wild garden only requires being left alone. 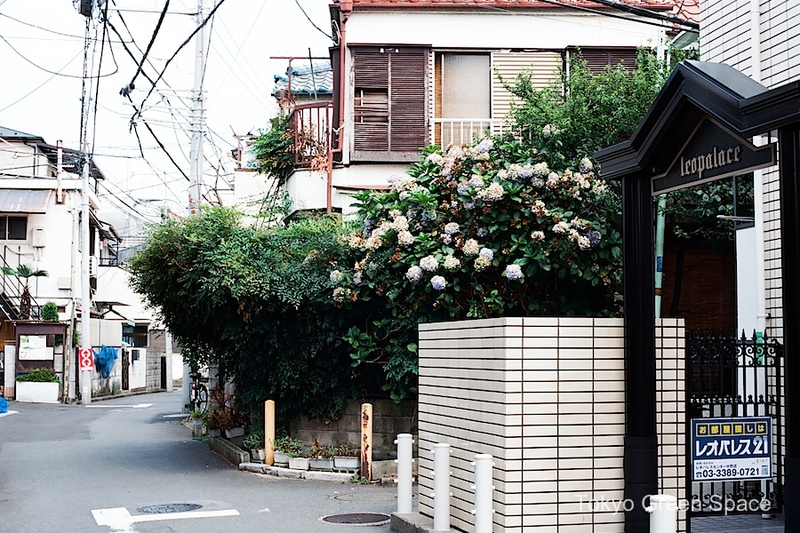 In the shadow of Roppongi Hills, one of Tokyo’s most expensive neighborhoods, there are still old factory buildings, Showa-era two story houses, and even empty lots alive with weeds. This mix of scale, land usage, and non-design is delightful. 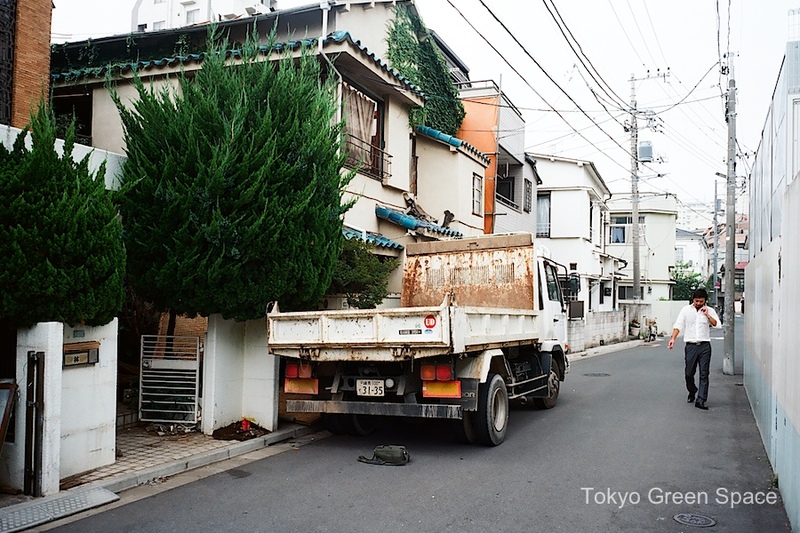 Living in Tokyo you become used to the continual process of demolition and new construction. Not the ten or twenty year boom and bust cycles I’ve seen in San Francisco and New York City. 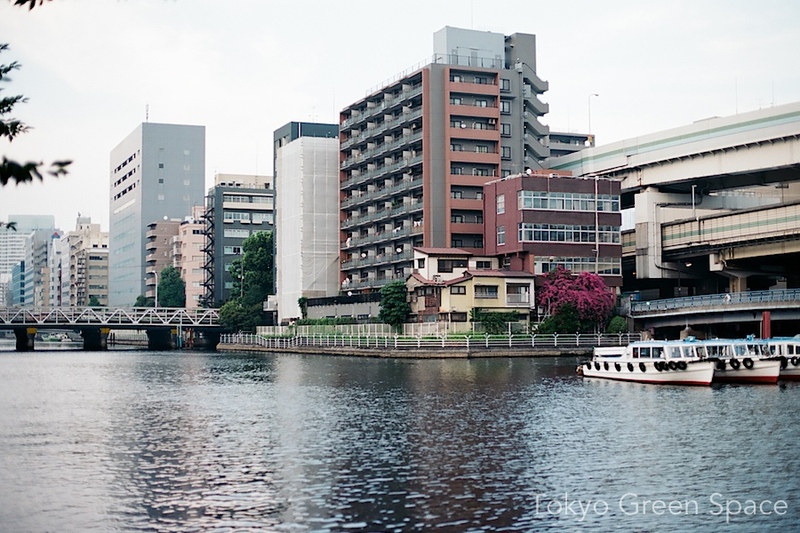 Even in the perpetually shrinking Japanese economy, Tokyo continues to morph and grow. 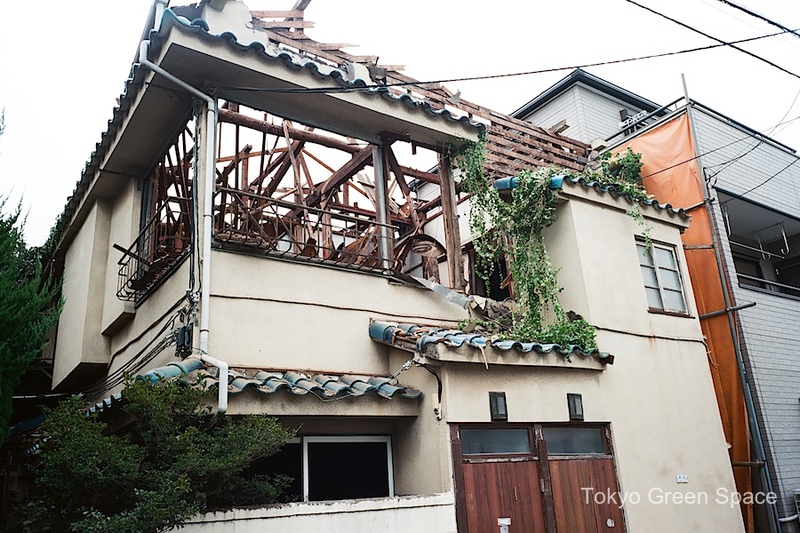 The photo is from the demolition of a post-war Showa house in Nakano, a residential neighborhood. It will undoubtedly be replaced with a multi-unit structure made of pre-fab materials and slightly customized, standard layouts. Closer to my house, I’ve seen the local liquor seller vacate his main storefront, which was replaced by a brand new 7-Eleven in less than four weeks. I watched the incredibly fast work to the interior, modernizing a 1970s storefront into the faceless, placeless space of a convenience store. They also installed enormous heating and cooling structures on the roof. I was glad to see that the liquor store owner has retained an adjacent, closet-sized space for his liquor sales. He seems to enjoy interacting with the neighbors. 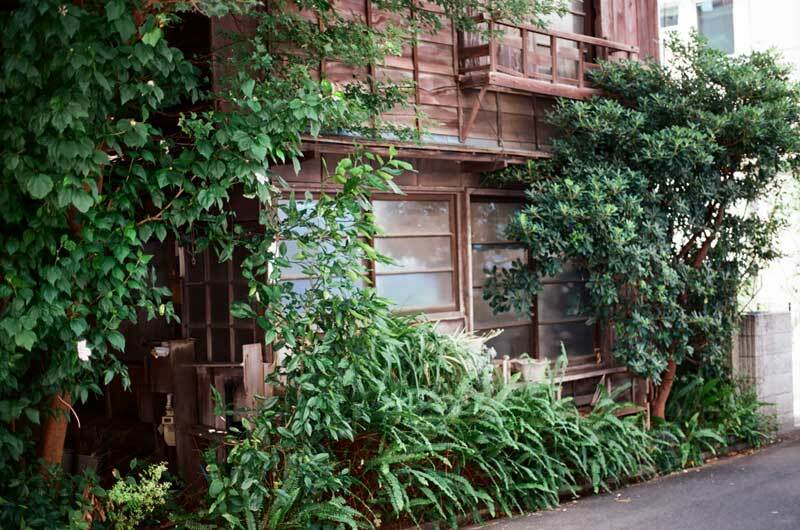 I like how this Showa house, with its manicured garden, has somehow survived in Shibuya. Near NHK headquarters. The difference in scale with its neighbors is striking.